The Philippines have been known from being country full of talents. From dancing, singing, acting and even in arts, innovations and many more! 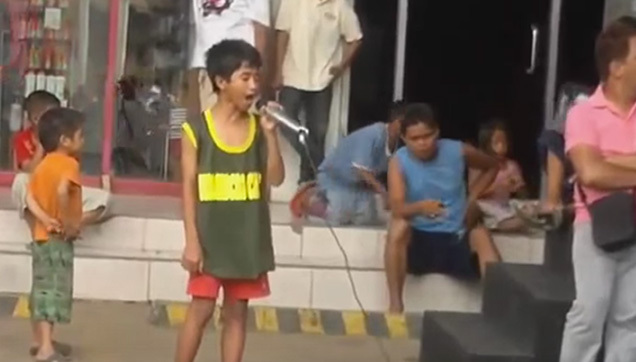 This boy from the Philippines can sing Whitney Houston's classic hit single "I Will Always Love You" easily. Roel Manlangit, 13 years old from Valencia, Bukidnon joined the Filipino franchise of the popular british talent show named, "Got Talent". On June 2, 2013, he won the competition. The 4th season of the show was hosted by Billy Crawford and Luis Manzano. The panel of judges are Kris Aquino, Ai-Ai delas Alas, Freddie Garcia and Vice Ganda as a guest judge.